In my experience, I've seen many people struggle with a common problem - papers that accumulate on the kitchen counter and get lost in a pile. Bills, junk mail, magazines, kids papers, coupons, and the list goes on! Oftentimes the pile gets shoved aside or put into bags to be dealt with "later" and is soon forgotten. This month's newsletter has ideas and tips for setting up a system to manage your household with a Command Center and Launch Pad - so you and your family can thrive! Similar to an airplane's cockpit, a Family Command Center is a central place for managing household communication and running the family's daily activities. A Command Center manages four activities: input (papers coming in), processes (what to do with the papers), output (papers going out), and reference information (a Resource Binder contains important reference documents to maintain the household activities). In short, it is the go-to spot for all the things you need to help your home run smoothly. Be sure to locate the Command Center in a central location, preferably near where you enter and exit your house. An ideal location is often the kitchen, as it's the hub of the house. But you can also create a space in your home office if it's on the main floor of your home. If you use your computer for scheduling or contacts, you might want to locate the Command Center near the computer. Just make sure it's a functional space and that the location works best for you. Find a way to incorporate a corkboard or magnetic board. A corkboard can be attached to the inside of a cabinet door, which keeps it accessible but out of sight. Use this board to post frequently called numbers, lunch menus, invitations, etc. Keep reading for more info on setting up your Family Command Center. Brocade Desktop File - this sturdy and attractive file holds letter-size hanging folders for sorting mail, bills to be paid, school forms and more. Brocade Wall File - make the most of your vertical space with these wall-mount compartments to hold files. Fabric Wall-Mounted Pocket - the main compartment holds newspapers, magazines, catalogs or gloves, while hooks below keep hats, jackets, leashes and keys easy to find. Homework Caddy - take advantage of summer to organize for the new school year! This hanging folder system controls clutter by organizing kids' homework and books and helps them to manage their own schedules and deadlines. In a typical household, there's a lot of different information your family needs on a regular basis that often ends up being scattered around the house. The Family Resource Binder makes it easy to keep everything together in one reference book. Putting your binder together is easy. You need a three-ring binder and plastic sheet protectors. Printable forms can be your guide for information to include; create your own additional forms as you need them. Finances: your budget, spending log, bills to pay, etc. Checklists: Any checklists that help you remember things: packing lists, chores lists, car maintenance schedule, etc. Fighting over bathroom time, soggy cereal, and the ever-present, "Mom, I can't find my...!" Getting the family out the door on time in the morning is a huge challenge for many. One small concept can go a long way toward helping calm morning madness - the family Launch Pad. Just as a spaceship must have a structure to support lift-off, so family members need a Launch Pad as they leave for the day. So what is a Launch Pad? It's a dedicated space for each family member - a single location to contain all the "out-the-door" essentials of life. "Stuff" should always have distinct limits. Setting up a Launch Pad can be as simple as clearing a shelf in a bookcase and designating the area the family's Launch Pad. Add a different-colored plastic bin for each family member, and nobody's field trip permission slip will go to school with the wrong sibling or get lost behind the shelf. As each child comes home from school, homework and lunch menus can go into the bin. Dad comes home and tosses keys, billfold, receipts and pocket change into his. Things stay safe and segregated until they are needed the next morning. A Launch Pad does not necessarily need to be dedicated space on a shelf or table. Children can be taught the backpack habit. Each child has their own hook for their backpack near the door. Lunches, papers, and gym clothes go directly to the backpacks. Result: Launch Pad! An idea for younger children combines the Launch Pad with an answer to the "child art" dilemma. Purchase a hanging chain with clips designed to be hung from a ceiling. When your preschooler comes home clutching his "papers," artwork can be clipped to the upper regions of the chain, while permission slips and homework live on the lower links. It's not just kids who can cause morning madness - adults can be contributors too. An adult's Launch Pad can be a shelf in the coat closet to corral the essentials of life before the dash out the door in the morning. 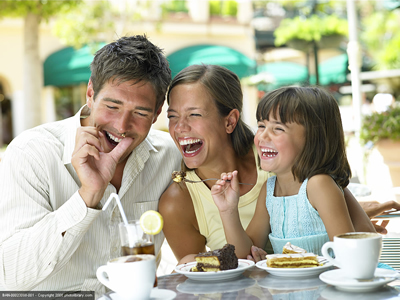 Without doubt, establishing a family Launch Pad can go a long way toward starting your day with a smile! Where careers begin and end. I am the Family Manager.